Blogging, coding, yoga, photography and anything far and in between. If you run retreats of any kind, let us show you why NomadLife is the perfect location for any upcoming gathering you may be planning, whether is be a corporate retreat, informative gathering or team building event. We know that orchestrating any kind of get together is a ton of work, which is why we want to give you a hand. You focus on the content and attendees, and we'll take care of the rest. From accommodation, meals, transport and activities, we can arrange the perfect set up for you to execute a great getaway and learning experience for your group. Nuestra casa es su casa! 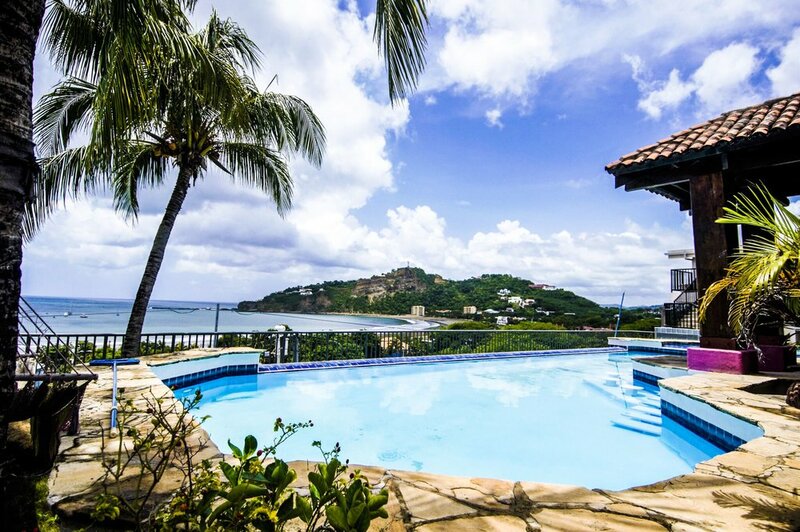 We are lucky enough to inhabit one of the most beautiful houses in San Juan del Sur, and with 24 beds, 10 bedrooms, 12 indoor office desk spaces and 1 beautiful infinity pool overlooking the bay, you'll see as soon as you step foot at NomadLife why productivity reaches new heights in our villa. We have all kinds of different options as far as room types go, from our luxurious Master Suites to our simple yet lovely dorm rooms, we have a range of choices for every audience. In total we can house 24+ guests depending on sleeping arrangements and are happy to work with you to appropriately organize and distribute your group throughout the villa. We also have a fully stocked kitchen and laundry available on site! The NomadLife villa sits directly in the centre of San Juan Bay and the view is one of the best, possibly the best but we're not ones to brag, in town! On top of front row seats to sunsets unlike any you've ever seen, our home is conveniently located right in town. Grocery stores and restaurants are only a few blocks away and we're just steps from the beach! San Juan del Sur at it's core is a surf town. Streets are lined with surf shops and the most traffic you'll see is headed towards the beaches at high tide. Whether you're in search of some barrels at Maderas Beach in the north, or the smaller rolling waves of Remanso to the south, you're sure to find your wave. Never surfed before? No worries. We're happy to arrange all inclusive lessons for anyone in your group that's interested for as little as $25 per person. There are few things more majestic than horseback riding during an unbelievable sunset down an deserted beach. There are plenty of ranches and a new equine centre in the area and we'd be happy to arrange a sunset trip for those in your group that may be interested in unleashing their inner Central American cowboy! A one hour ride will cost around $15 per person. Nothing gets the blood, soul and creativity flowing like some time on the mat. We're happy to offer in house Yoga with our own resident instructor. Whether you're a beginner or a regular yogi, starting or ending your day with some meditation and stretching. Benefits of regular yoga include: better sleep, increased cardiovascular strength, increase focus, increased energy, relief from stress, more emotional stability and overall increased athletic ability. In house classes available for only $15 per week per person. All play and no work leaves us with bills to pay, so we've got the perfect set up for your group to enjoy time spent working as much as possible. With indoor office seating for 12 and an additional 18 outdoor seats (along with a multitude of hammocks, couches, nooks and crannies for you to set up in! ), there's lots of room for you to work on whatever project your team has on the go.